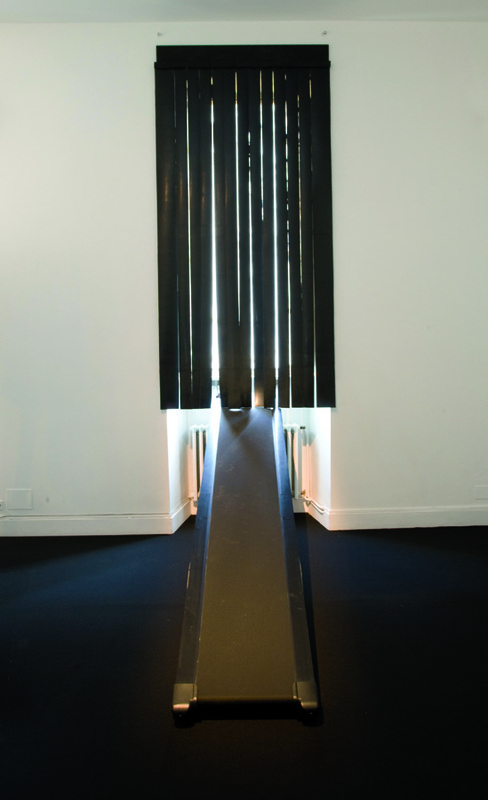 "Assuming the idea of Massimo Bartolini's argument that "art is a matter of invisible," Di Tillo has devised a machine for the exercise of thought. 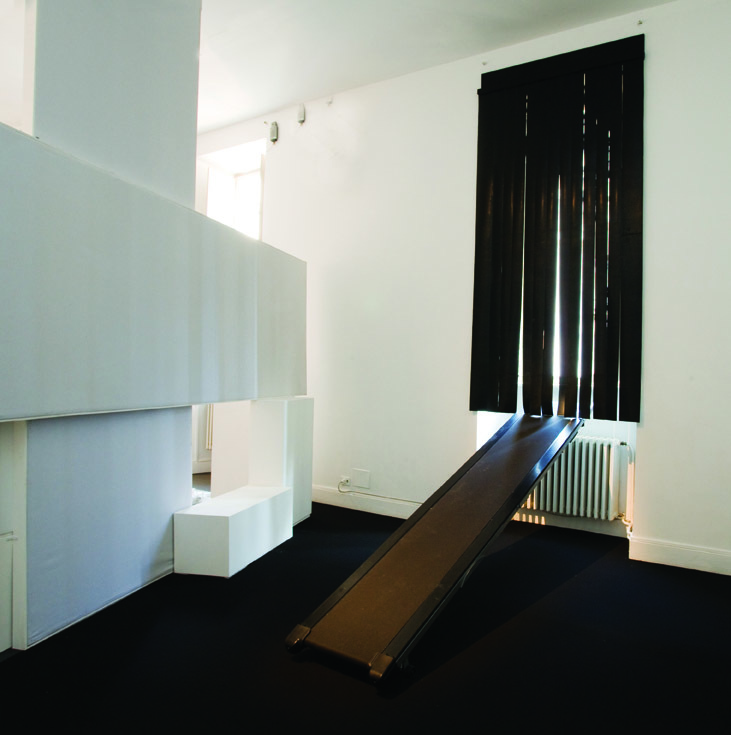 A tapis roulant-racing was redesigned and transformed: into the exhibition room the object was resting on a window sill inside, in front of the window and obscured by a curtain. The new machine offers the visitor a perpetual journey, the feeling of a constant pitch on the friction roller, a potential exit route that will always and in any effort. Not excluding a possible bankruptcy, difficult climb that could produce the voltage required to reach the threshold between what is real and what has driven the imagination".